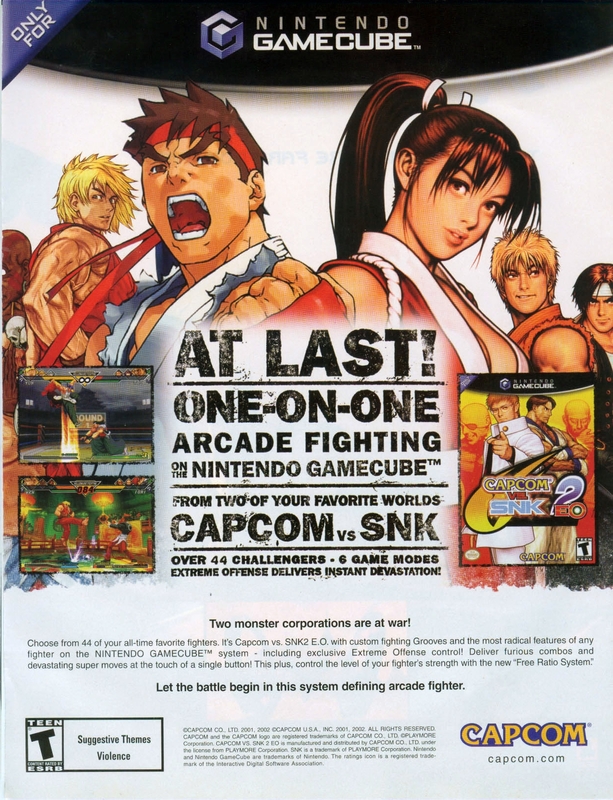 Capcom vs. SNK 2: EO is an enhanced port of Capcom vs. SNK 2: Mark of the Millennium 2001 / Millionaire Fighting 2001 for the GameCube and Xbox. The main addition was the Easy Operation mode, which allowed you to utilise special attacks with the flick of an analogue stick. The Xbox version also added support for 480p and online play.